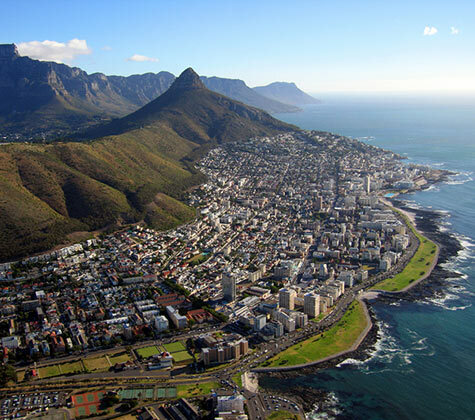 The economic heart of the African continent, South Africa is a country that spans approximately 2798 kilometres of glorious mountains, rivers and forests. A cultural and historical melting pot, it is home to multiple ethnicities, fortifying the term a ‘Rainbow Nation,’ coined by Archbishop Desmond Tutu. A vivacious country whose heartbeat echoes in the hooves of its wildlife, South Africa is a tourist hotspot for all nature lovers and those looking to experience the hospitality that South Africans are renowned for. South Africa is home to a population of 53 million inhabitants, all of whom communicate in at least one of the 11 official languages that define the nation. Despite the courteous nature that many South African’s possess today, it is difficult to articulate the turbulence that the history of the country is drenched in. Apartheid was a regime put in place by the National Party to endorse Afrikaner Nationalism, implementing a system of forced racial segregation for five decades of South Africa’s history. Despite the destructive nature of the Apartheid era, it brought forth a man who is considered one of the greatest heroes in the world – Nelson Mandela. Alongside being the birthplace of individuals such as Nelson Mandela and Charlize Theron, South Africa is also home to the Cradle of Humankind located a few kilometres North West of Johannesburg. This complex of limestone caves was first discovered in 1947 and has since produced some of the oldest human fossils in the world, indicating that human life might have begun in South Africa. The Best Areas to Purchase Property in South Africa. The economic powerhouse of South Africa and the busiest property market is in the centrally situated Gauteng Province. Its capital Johannesburg has many suburbs where property is highly sought after and a wise investment. Over 60% of property transactions take place in and around Johannesburg. Our Top Regions in Gauteng are Sandton, Johannesburg and Farie Glen, Pretoria. The Western Cape is just one of the locations that is considered a prime destination for stylish homes and picturesque views. Stretching from the Cape Winelands to the exquisite waters of Camp’s Bay beach, buyers are able to select from a multitude of real estate options suiting a vast range of budgets. CENTURY 21® Agents have fine homes for sale in these top locations: Knysna, Plettenberg Bay and Durbanville, Cape Town. The SA government encourages investment in property by foreigners. Your CENTURY 21® Agent will be able to assist you in understanding the home buying process. Please seek professional advice from a qualified lawyer and tax adviser before attempting to purchase real estate in South Africa.